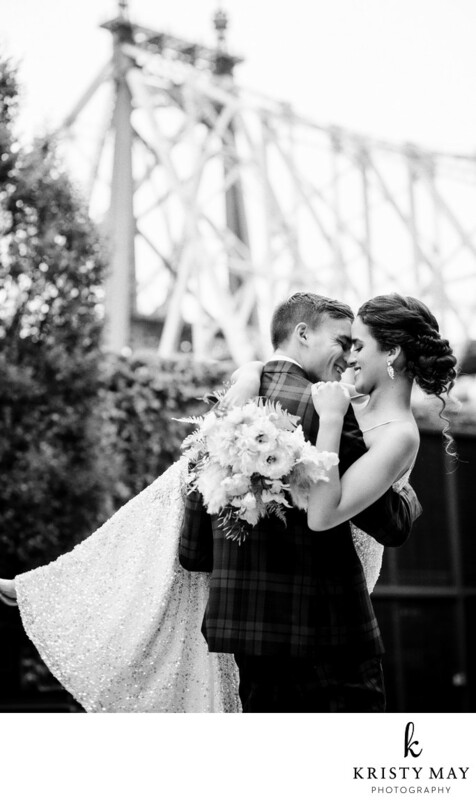 A bride and groom in the courtyard of The Foundry in Long Island City, NY pictured with the Queensboro Bridge in the background. The bride is wearing a sequin gown by Theia and the groom is wearing a plaid tux from The Black Tux. The bouquet is by Designs by Ahn. Location: 42-38 9th St, Long Island City, NY 11101.